UPDATE: Online ticket sales are closed. Tickets are still on sale at the door! Colorado Crafted- the best après scene all year round! 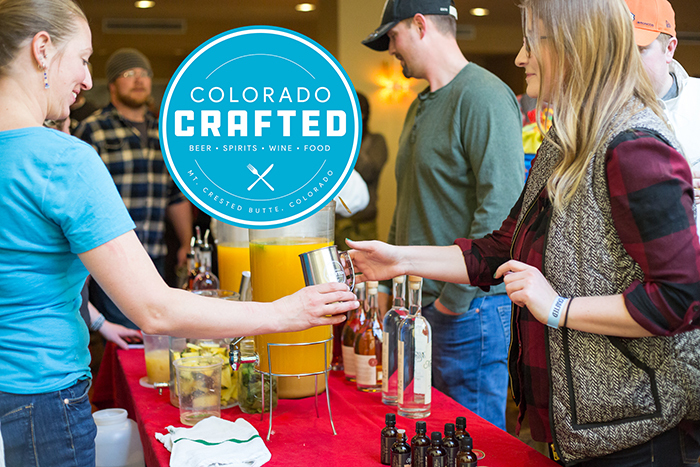 Ski Crested Butte Mountain Resort this spring and enjoy a craft tasting that features the best breweries, distilleries and local fare that Colorado has to offer! Held Saturday, March 3rd from 2-6pm in the lower lobby of the Elevation Hotel & Spa, you will enjoy delicious beverages, and tasty treats, live music and the company of your friends!